A biorepository might potentially manage 50 different registry protocols, consist of tens of thousands participants and offer hundreds of thousands of samples. At these scales, your informatics management solution is how you interact with those samples and protocols. It is central to your workflows, and how you operate. It manages and tracks departmental security, protocols, samples, participants, data and more. Because a Laboratory Information Management System is essential to how your biobank operates, a successful LIMS implementation demands a thorough understanding of what your biobank currently does, and also what you want to be able to do. Knowing this better defines the parameters of your LIMS project, and clarifies if your application is a good candidate for an OOB solution. Shortening the LIMS Startup Ramp. 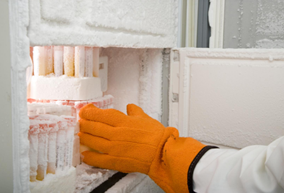 One of the key challenges for biobanks is the sheer range of LIMS customization taking place. Highly customizable solutions, however, are hard to manage over time – making maintenance and future upgrades difficult and costly. More importantly, such LIMS solutions tend to face long implementation ramps – and the more customized a LIMS, the longer the startup & validation can become. Out-of-the-Box (OOB) Laboratory Informatics Management Systems Jumpstart the Launch Process. OOB LIMS solutions offer a shortcut – a template. With LabVantage 8, for example, we created a number of different editions (LabVantage Quality, LabVantage Biobanking and LabVantage Express) to help clients go live faster, in their specific industries. Using standard, predefined processes can help get clients up and running quickly and avoid key delays during the startup process. The size of the lab or biobank is another key criteria when deciding on an OOB LIMS platform solution. If there will be a smaller number of users, an OOB (in our case, it’s called LabVantage Express) INSERT LINK may be preferable to an Enterprise version INSERT LINK (which offers tremendous scalability and features for multi-site support). 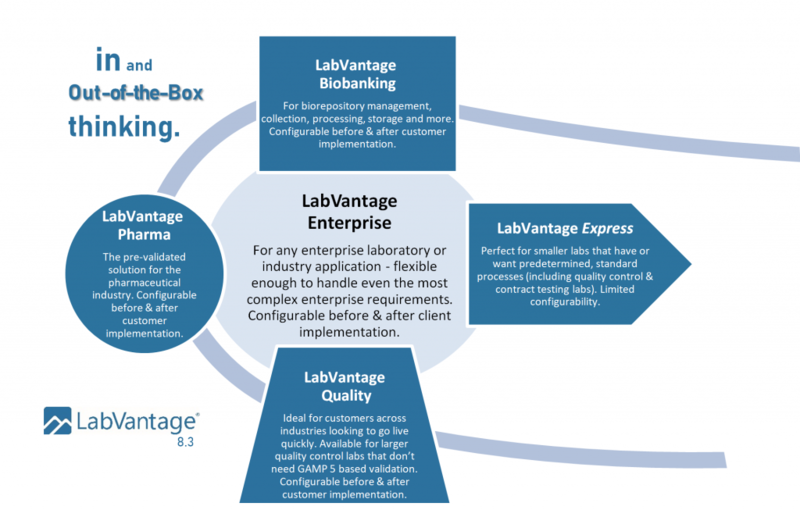 Learn more about LabVantage 8 Editions.